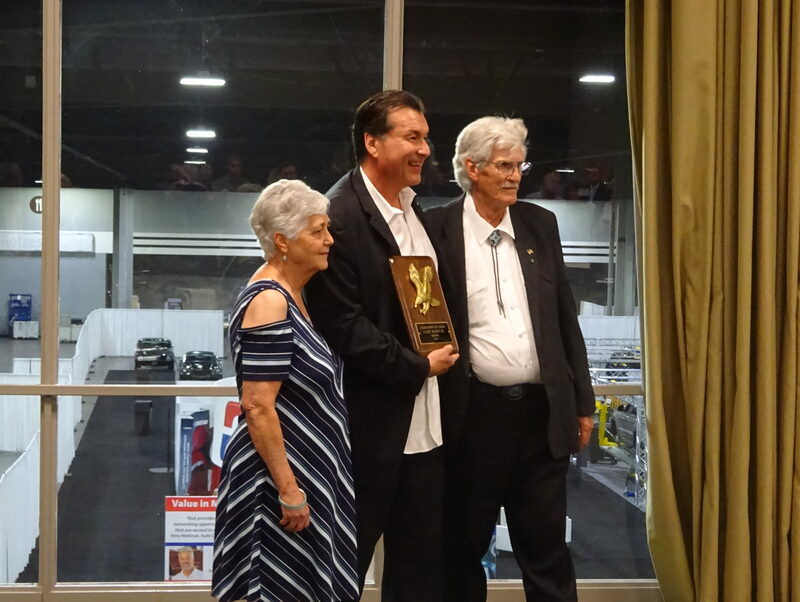 An aftermarket parts advocate and an Oklahoma auto body shop owner were inducted Tuesday into the Hall of Eagles, the collision industry hall of fame. Karen Fierst, principal of KerenOr Consultants, and Gary Wano Jr., executive vice president of G.W. and Son Auto Body, were the first inductees since CARSTAR Mundelein co-owner Jeanne Silver in 2015. “The bar is high” to get in, emcee and fellow Eagle Russell Thrall III (Collision Week) told the audience at the ceremony following the Collision Industry Conference reception Tuesday. 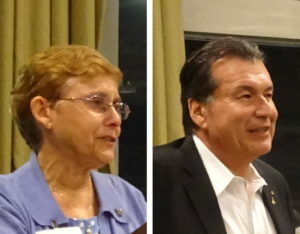 A Hall of Eagles member must nominate a candidate, and induction requires approval by a two-thirds majority of prior winners — the same rules since the first Hall of Eagles class was crowned in 1989. As Hall of Eagles membership grew over the next thirty years “the tougher it got” to make the cut, member Jeff Hendler (JD Hendler/Associates) noted Tuesday. Bartnik said Fierst’s more than 25 years in the industry include working at CAPA to improve the quality of aftermarket parts and at pursuing better relations between aftermarket manufacturers and the collision industry at KerenOr. Fierst’s career also includes time on the board of directors of the National Auto Body Council. “I’m humbled to be inducted into the Hall of Eagles,” Fierst said Tuesday. 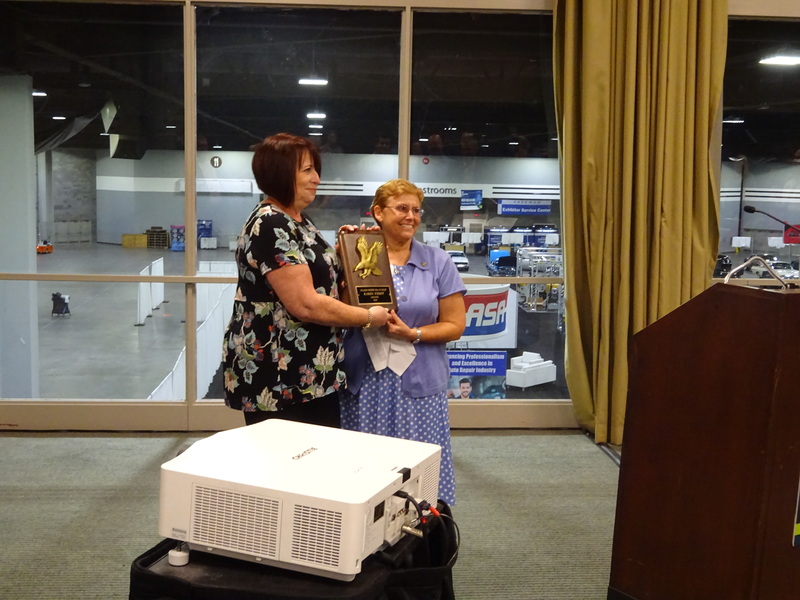 Fierst said some had doubted the sincerity of her “quest” to improve the industry because of her advocacy for “quality aftermarket parts” and “ethical behavior” from all industry segments. “Receiving this honor indicates to me that a significant number of industry leaders understand that my personal goal has always been to make the world, and as part of that world, our industry, a better place,” Fierst said. She thanked a number of industry figures for their mentorship and support — “they lifted me up when I was down” — as well as her husband, Barry. Fierst said her work has brought her “extraordinary experiences” and allowed her to meet “many wonderful people,” and she had tried to mentor and encourage men and women as a way of giving back. 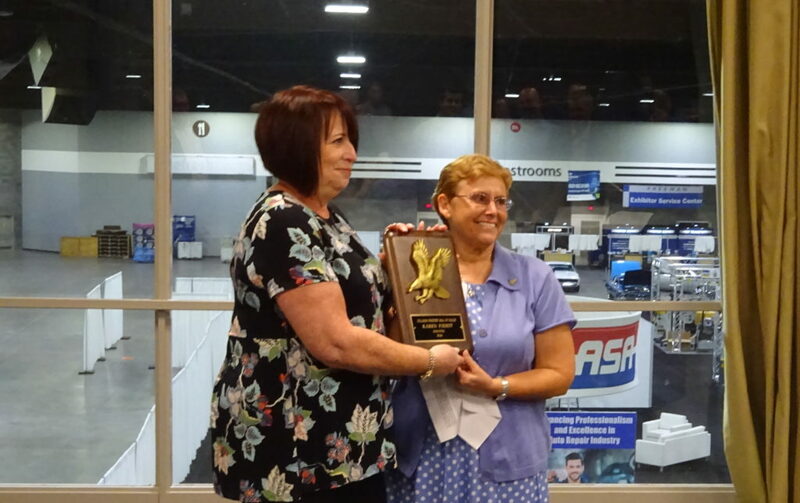 “The honor of being inducted into the Hall of Eagles tells me that my contributions are recognized, and have played at least a small role in enhancing our industry,” she said. He ran through some of Wano’s personal and professional accomplishments and accolades — joking after listing many that “I’m just about halfway through.” Wano has served as a Society of Collision Repair Specialists chairman, member of the I-CAR board and Audatex and Mercedes advisory councils and leader of the Oklahoma Auto Body Association he founded. He also has won the 2012 Mercedes Excellence in Service Award and the inaugural March Taylor Memorial Fund Kina’ole Award in 2017. The induction came as a surprise, Wano said Tuesday, for he figured that such an award required a candidate to appeal to all segments. Wano recalled an anecdote by a mentor: Asked what the mentor did for a living, the man replied that he worked for children’s toys. He was in an industry where professionals got to work early and spent a day of negotiating and arguing for a proper repair and keep the doors open. They go home for dinner, and their kids ask for various toys. The owners return to work so they can make their kids’ wishes happen. Eighty percent of shops are like that, Wano estimated. For those in the room from the collision repair industry, “that’s who we represent,” he said. The audience had to remember it wasn’t about their business or them, “it’s about what we do for this industry,” Wano said.